A Theft (1987) is one of three stories in the collection Something to Remember Me By. 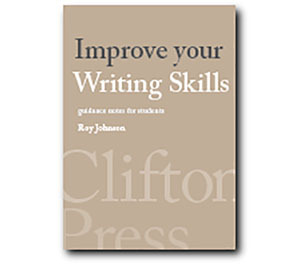 It was originally intended for magazine publication, but was rejected as being too long. 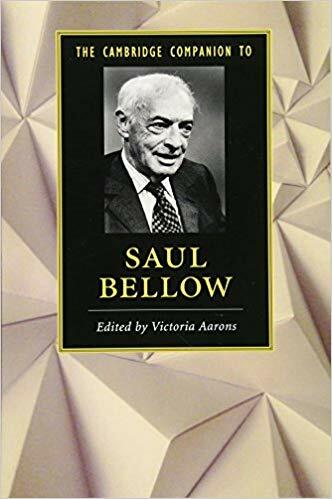 Saul Bellow took the unusual step of publishing it as a single volume – directly as a paperback book. The two other stories in the collection are Something to Remember Me By and The Bellarosa Connection. The story (or novella) is largely a character study of Clara Velde – her deep emotional conflicts, erratic behaviour, and her problematic relationships with the people close to her. But the most important feature, which unites all these elements, is the complexity of her feelings for ex-lover Ithiel (Teddy) Regler. Teddy is an intelligent and impressive figure in his own right, but so far as Clara is concerned he is all men; he is the man; but he has remained beyond her reach, unobtainable. This might explain why she has had so many failed marriages. But she has one tangible link that expresses the bond she feels between them. He has given her an expensive emerald ring that she treasures and provides the story with its central symbol. When she first loses the ring she feels that her world has come apart. She has three children, a successful career, and a loyal but ineffectual husband, Wilder. But after twenty years she still regards Teddy as her soul mate. The ring is a powerful emblem of what he means to her and the love they once shared (which curiously enough, is not really dramatised, even in her retrospective musings). The ring is recovered, but then disappears again when it is stolen by the boyfriend of her au pair, a petty crook from Haiti. Clara more-or-less fires the au pair Gina, but then immediately feels guilty about how rashly she has acted. Once again she feels that a cornerstone of her identity has been removed, and she flies to Washington where Teddy gives her the support that she needs. Gina the au pair recovers the ring from her boyfriend and returns it via Clara’s daughter Lucy, who completes the transaction without question or fuss. Clara is not only relieved, but feels she has learned a valuable lesson about herself from the much younger woman. ‘I do seem to have an idea of who it is that’s in the middle of me. There may not be more than one in a million, more’s the pity, that do have. And my own child possibly one of those. It is a moment of catharsis that draws the very loose ends of the story together. But for all the moral and existential anxiety that arises from these twin episodes, it is worth noting that the only theft which remains outstanding at the conclusion to the story is Clara’s. When the ring first goes missing, she claims on her insurance policy – sixteen thousand dollars – but does not return the money when the ring turns up again in her bedroom. This particular theft is left unexamined. The early part of the story concerns Clara’s incontinent confessions about her private life and loves to her assistant Laura Wong. These confidences are largely about her continued enthusiasm for former lover Teddy Regler. But Ms Wong hardly features at all in the latter part of the story – so she is introduced for no meaningful purpose. The same is true of the early scenes describing Clara’s meetings with Giangiacomo and Spontini in Italy. The fictional character Giangiacomo is a thinly disguised portrait of the Italian radical Giangiacomo Feltrinelli – best known as the publisher of Boris Pasternack’s Doctor Zhivago. The character is introduced, but then blows himself up whilst trying to dynamite power lines. [This was one interpretation of Feltrinelli’s controversial death in 1972.] There seems very little connection between this slightly larger-than-life character and the main theme of the story. In the case of Spontini, his significance is reduced to a single incident. When he is driving Clara in his car she threatens to ward off his wandering hands with the red hot element of a dashboard cigarette lighter. She goes on later to make him the third of her four husbands – but he too never emerges again in the story with any significance, and it is difficult to understand why he is named and included. 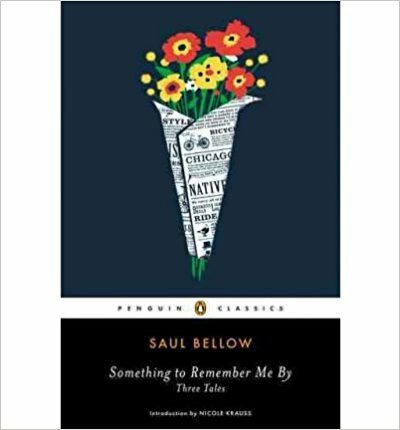 Saul Bellow is rightly celebrated as a writer who can bring fictional characters alive by carefully observed physical details, idiosyncratic speech patterns, and a Dickensian sense of comic exaggeration. These approaches to fictional entertainment work well in the expansive scope of novels—which Henry James called ‘large loose baggy monsters’. But these vivid but inconsequential characters can unbalance the more restrained and delicate requirements of the short story and the novella. The only justification for this sudden change of perspective is that it allows the shock of her attempted suicide to be seen from his point of view. After this the story switches back again to Clara to give a brief history of her first three marriages. Clara Velde is a successful fashion advisor with three children living on Park Avenue in New York City. She has been married four times, but is mostly enthusiastic about her former lover Ithiel (Teddy) Regler. She hires a young Viennese girl Gina Wegman as an au pair, and she confides personal concerns to Laura Wong, her design assistant. She recalls meeting revolutionary Giangiacomo in Italy, and is pursued by Spontini (who later becomes one of her husbands). When Teddy takes a secretary to South America on a business trip, she moves Frenchman Jean-Claude into his apartment. Clara and Teddy are reconciled, but when he does the same again on another foreign trip, Clara tries to commit suicide. She survives, and goes on to a career of serial matrimony. She marries four times, and Teddy marries three. She loses the expensive ring he once bought her, claims on the insurance, then finds it but does not repay the insurance money. When Teddy’s third wife leaves him, Clara goes to Washington to offer comfort. On returning to New York she finds the au pair Gina has had a party with her Haitian lover and lots of friends. Clara is suspicious, and when she discovers that her emerald ring is missing she assumes the boyfriend has stolen it. She orders Gina to return it next day – or leave. She feels devastated again by the loss, but then guilty about her peremptory dismissal of Gina. Clara visits her psychiatrist, then meets Teddy, who recommends a private investigator. Some time later the ring suddenly reappears on her bedside table. Clara thinks Gina has replaced it, and wishes to thank and reward her. She meets Gina who explains that she returned the ring by giving it to Lucy, her daughter.